This summer my wife, Merilee, and our dear friend, Beth, have resumed our kayaking on some of the local lakes up around the Crystal Basin Recreation area in the Sierras. 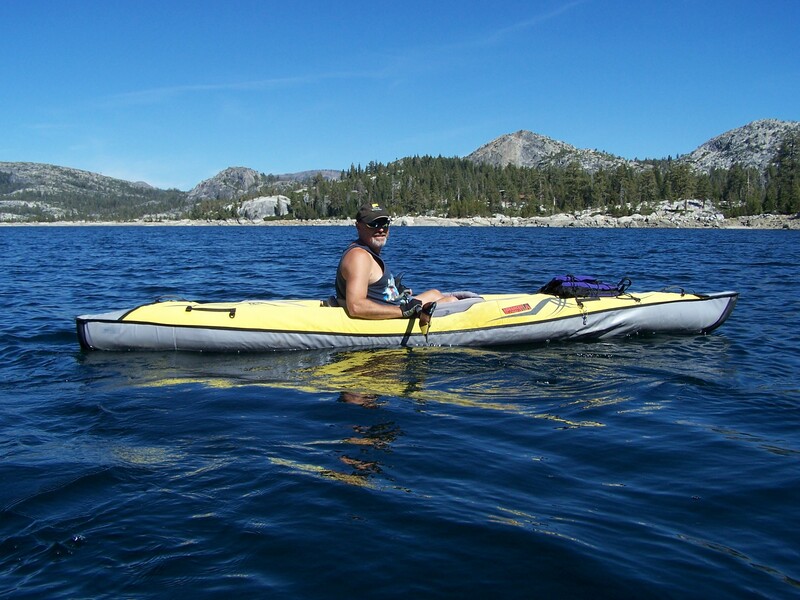 This photo was taken on beautiful Loon Lake with me in my inflatable Advanced Element Kayak: purchased over a year ago from the Sierra Outdoor Center. This has allowed my wife and I to connect with nature more and brings a state of bliss after a week of working in the city. This type of activity breaks the routine I can easily get into with “Get up, go to work, come home, go to bed”. By breaking this routine, I find this stretches my comfort zone and gives an expansion, not only to my life, but to my physical well-being. I have found that doing activities that expand my comfort zone keep me more vital and excited about what I get to do next. Narrowing your comfort zone leads to atrophy or hardening or less movement of the body; your LIFE.